Is Another Automotive Mega-Merger Coming Soon? Recent comments from Fiat Chrysler are worth further analysis. Mergers between automotive companies have been essential to creating the auto industry we know today. 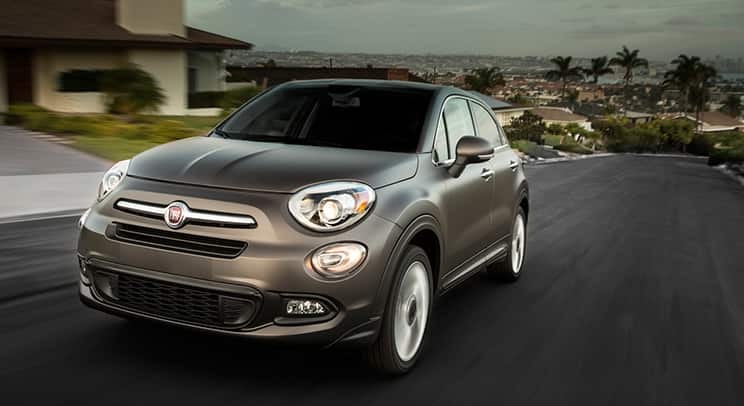 And now, with Chrysler acquired, Fiat Chrysler Automobiles (NYSE:FCAU) appears to be considering another merger partner based on recent comments from CEO Sergio Marchionne. Mr. Marchionne has not been shy about his perspective on industry consolidation. Forbes reported that he struck a different tone than many at the 2015 Detroit Auto Show, with comments on how the industry is doing well now but still needs to right-size and earn more respect from Wall Street. In terms of right-sizing, Marchionne said, "...I am more convinced than I have ever been that this industry needs to move toward consolidation." These comments are no surprise coming from the man who led the combination of Fiat and Chrysler, and has long pushed for greater economies of scale. Because of Marchionne's views toward consolidation, rumors have long swirled over potential mergers between Fiat Chrysler and other automakers. Among the most frequently proposed partners has been Volkswagen Group AG which has built a brand empire of its own and would gain access to a valuable line of SUVs. After years of merger rumors, Marchionne announced a few days ago that Fiat Chrysler was exploring consolidation options. He further added that Volkswagen was not an ideal partner but he did have one in mind. As much as industry followers would like to have heard, Marchionne did not put a name to this ideal partner. This leaves investors to examine the possibilities and the pros and cons of each. What we do know is that consolidation and economies of scale are major goals for Fiat Chrysler. Therefore, almost any major automaker could fill this category, while automakers operating at a relatively small scale, like Tesla Motors, are not likely being considered. It is also worth factoring in the element of family control at Fiat Chrysler. Currently, nearly 50% of the company's voting power is controlled by the Agnelli family, and this family seems determined to maintain their control going as far as to implement a shareholder loyalty program to give longer-term shareholders, such as themselves, more power in voting. For the Agnelli family to retain control, Fiat Chrysler would need to be the larger company in the merger since its current debt situation does not put it in a position to raise debt to fund a buyout of a larger competitor. While the family may be persuaded to give up control, a deal would be easier to accomplish if they could retain a significant interest. With these points in mind, here are some of the automakers that may be on Fiat Chrysler's radar. This Japanese automaker ranks at number 15 among global automakers to Fiat Chrysler's rank of 7. Currently carrying a market cap of $12.3 billion, it would be a major acquisition for $20.0 billion Fiat Chrysler, but would leave the Agnelli family with a significant interest in the combined automaker. Fiat Chrysler has discussed collaborating with Mazda, signaling there is some common ground between the two companies. In terms of product lines, the idea of a merger here could work. Both automakers offer vehicles in the same price range and have types of vehicles that may be able to share platforms in the future. A merger with Mazda would also give Fiat Chrysler a greater presence in Asia to accompany its current strong presence in both Europe and North America. The world's tenth-largest automaker carrying a market cap of $13.2 billion, could also be within reach financially for Fiat Chrysler, and could help in consolidating the slow European auto market. While the European market has struggled, this company could be a good candidate for the right-sizing Marchionne is looking for. In the past, Fiat Chrysler has denied rumored talks with PSA Peugeot Citroen, but companies can change their minds if circumstances fit. If this merger were to happen, its would give Fiat Chrysler the opportunity to bring the Peugeot and Citroen brands back to the U.S. after a decades-long absence; similar to what has been done with Fiat and Alfa Romeo. This Japanese manufacturer tallies in as the the ninth-largest and carries a market cap of $18 billion. Like Mazda, Suzuki would give Fiat Chrysler greater access to Asian markets and has a number of vehicles of similar price and type as Fiat Chrysler. Fiat Chrysler may also be able to return Suzuki to the American car market, which it left a few years ago after failing to deliver the profits it was looking for. With the combined efforts of Suzuki and Fiat Chrysler, Suzuki brand vehicles could be made more appealing to American buyers, setting up a path for expansion. Sergio Marchionne sees more consolidation as essential in the modern automotive industry, and recent comments suggest Fiat Chrysler is considering some M&A. At this point, however, there is no guarantee, and the three candidate automakers presented here are little more than just possibilities. But with Marchionne emphasizing the power of consolidation, investors should keep an eye out for future M&A action in the automotive industry.